A little over 80 per cent of the orders placed on domestic stock markets are generated by algorithms. Samie Modak reports on the whats and whys of algos. Technological advancement has made available newer tools for transacting in the financial markets. Algorithm trading (algo) is one. It uses software-programmed trading strategies for benefiting from stock price movements. Nearly half of trades in the domestic market come from algos. However, this new trading technique is still out of bounds for retail (small) investors. 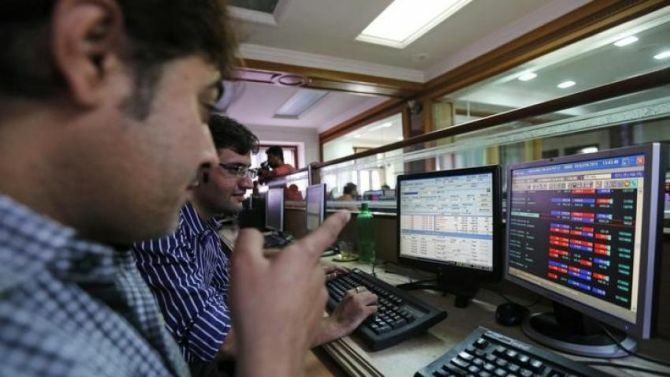 Entities in the sector say the regulator, Securities and Exchange Board of India (Sebi), should introduce a framework for retail-focused brokers and their clients on algo trading, to increase accessibility. Algo trading is a software programme designed to execute automatic trades on fulfillment of certain criteria. These are typically trading strategies that make use of complex mathematical models. The most common is arbitrage, which tries to profit from differential pricing of the same security at the same time on different exchanges. For instance, if stock A is trading at Rs 1,000 on the BSE and at Rs 990 on the NSE, the algo will sell the security on BSE and buy it in the same quantity on the NSE. As the price anomaly could be there only for a fraction of second, to execute such algos once needs access to high frequency trading (HFT). This can be achieved using high-speed networks or a co-location facility, involving the renting of space for servers inside the exchange premises. Does Sebi allow algo trading? Sebi does allow algo trading and HFT. However, at present, it is mostly institutional investors or sophisticated traders who use this extensively. "For retail, there is a grey area. There are no broad or structured guidelines in place. That's why it is important that the guidelines are issued," says Prakarsh Gagdani, chief executive officer at 5paisa.com. Last year, in a discussion paper, Sebi proposed measures to blunt some of the advantage for those using HFT, to provide more equitable access to all. Some of the proposals were for a minimum rest time between HFT orders, "speed bumps" to delay order processing and a minimum trade-to-order ratio. Sebi is yet to implement any of these. Contribution of algo trading to overall volumes? From Sebi data a year before, a little over 80 per cent of the orders placed are generated by algorithms. Such orders contribute to approximately 40 per cent of the trades on exchanges (not all orders result in trades). How could a broker enable algo for retail investors? Globally, what is popular is a broker allowing so-called application programming interface, or API, linkage to their trading system. API allows one software programme to interact with other software. At one end, there will be an algo devised by a retail client or a service provider, which, using API, would connect to the trading software or website of the broker. Due to lack of such a provision currently, an investor has to manually punch the order. Sector players say API-linking -- also called as 'execution algo' -- has become popular globally, which has enabled a lot of tech-savvy investors to deal in algo. India lags in this. "If a retail investor wants to use algo trading by linking his API to a broker terminal, that platform is not available. Whether or not this is allowed is a grey area," says Gagdani. Why has algo not caught up with retail investors? Some brokers have started allowing their retail clients to deal in algo. However, lack of explicit guidelines from Sebi has prevented many big players from providing algo trading platforms to retail investors, say sector players. The latter say Sebi should spell out whether or not API-linkage is allowed; the stocks and segments an investor may deal in by using algo. Additional checks and balances for both investors and brokers. Some warn that once algos start becoming popular, there is a possibility that some service providers might start marketing algos with 'guaranteed returns'. This could draw in gullible investors and pose risks to the market, and Sebi would have to intervene. Let algos make money for you in stocks! Home loan at 4 per cent! Should you go in for it?